Friday's terror attacks in Paris produced an avalanche of empathy online, and proved once again the power of simple images to unite people in times of crisis. From Facebook's feature allowing users to overlay profile pics with a filter of the French flag to a Charlie Hebdo cartoonist's #ParisIsAboutLife sketch, the most affecting responses were simple and visual. And none was more compelling than Jean Jullien's sketch combining the Eiffel Tower and the peace symbol—an image made in just minutes on Friday that soon rocketed around the web, becoming a symbol of hope and defiance amid the grief. "It was done on my lap, on a very loose sketchbook, with a brush and ink," he says. "I didn't do any sketches. It was a reaction. The first thing that came to me was the idea of peace, that we needed peace. I was trying to look for a symbol of Paris, and obviously the Eiffel Tower was the first thing that sprang to my mind. I just connected both of them. You know, there wasn't much work process behind that. It was more an instinctive, human reaction than an illustrator's reaction." 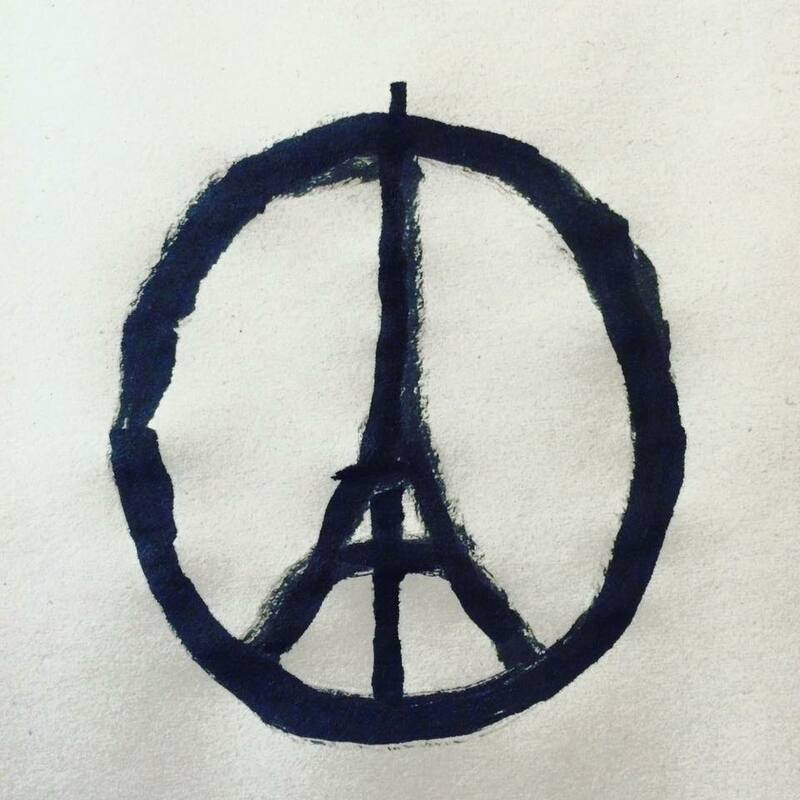 Jullien posted the image to Twitter, Instagram and Facebook on Friday with the caption "Peace for Paris." It quickly went viral. As of Monday morning, it had been retweeted almost 60,000 times, liked 160,000 times on Instagram and liked 24,000 times on Facebook. Instagram itself shared the image on its own account, crediting the artist—in a post that has 1.4 million likes. "We need symbols to express what [we] cannot say," Steven Heller, author of a number of books on design, told Fast Company. "Images define and describe tragedies and other monumental happenings. It is as common as graffiti for an image to emerge in response to tragedy." Jullien has become famous from the image, although that is little solace. "As of today, and in the light of the event, I can't really have any positive thoughts," he tells Wired. "I'm sort of almost embarrassed to be getting that much exposure as a result of such a tragic event. However, it really shows that this is how we communicate not just as humans, but as a society. It can break down barriers. Sometimes it is difficult to shed light on what is true or not, but I think people have an instinctive sense of how to use these forms of communication. In cases like this, the things that need to spread, spread. And this seems to have been a very positive use of this form of hyper-communication."